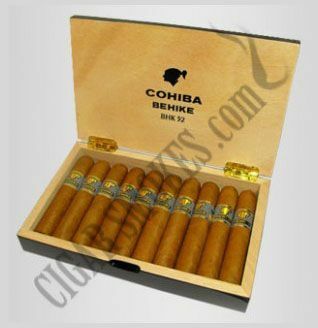 Cohiba Cuban cigars have a long standing repute in this industry, mainly because of the fact that the products are of high quality and also because of historical personalities associated with them. The name of the company is derived from the word tobacco, as, in Spanish, it directly and literally translates from “cohiba”. These cigars are produced in Havana in the Pinar del Rio province in Cuba. Although the brand started out with only one factory, it has another factory as well which has led it to expand production and exports.